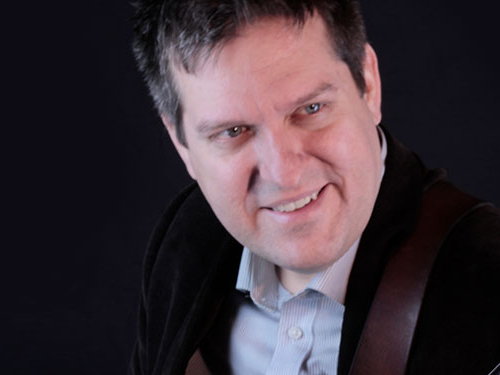 Always a Maryland resident, David Pace has been playing the guitar since 1986. He enjoys most styles of music ranging from rock, pop, jazz, blues,fusion, and classical. Apart from occasional ensemble work, David operated the 12th Planet Recording Studio on main street in Bel Air from 1998 to 2003. In this capacity, he was often involved as a session musician, filling in guitar parts on recordings of various styles and helping clients to arrange and produce original songs and compositions. David also conducted therapeutic music groups while working with children between the ages of nine and fourteen who had severe psychiatric and emotional disorders. David has been teaching guitar at Music Land since 1993. His approach to instruction is highly individualized for students from age seven to adult. David teaches reading, theory and technique while helping students to set and realize personal goals, build repertoire, and have fun. David welcomes students with various aspirations, from the casual adult learner, to the younger student preparing for higher education.